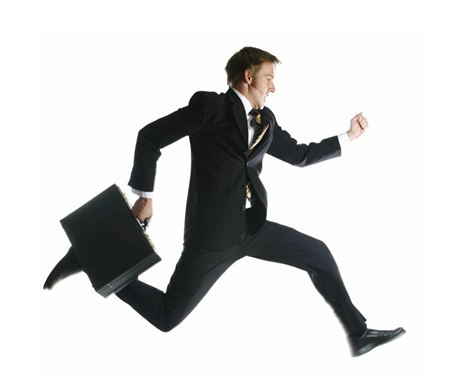 “Job Hopper” simply stated means a person who changes jobs frequently (typically every 2 – 3 years). Millennials in particular have been pegged as the noncommittal, wandering job-hoppers but a study by the Washington Post determined that millennials are changing jobs slightly less often than their boomer parents did at their age. Regardless of which generation is the guiltiest of this behavior, the trend has taken root in our candidate-driven employment market and does not appear to be going away anytime soon. The low unemployment rate and enormous number of jobs going unfilled due to lack of talent puts extra pressure on companies to consider and hire these types of candidates. Unfortunately, 40% of recruiters and hiring managers view job hopping with a negative perception as the fear of hiring a job hopper is that history is likely to repeat itself. When your job is to make good hiring choices and retain valuable employees, this fear is understandable. However, in today’s aggressive employment market, automatically rejecting frequent job changers may cause you to miss out on exceptional talent. Employers are struggling to fill highly technical positions in particular, and given the current market, the pool of talent will remain slim. As a result, employers’ hands may be tied, forcing them to contemplate options they may not have considered in the past, such as job hoppers. Employers who refuse to acknowledge this phenomenon risk being left behind in the competition for recruiting and retaining talent. They are adaptable, flexible, quick learners. They often bring knowledge of competitors with them. They have a strong network of contacts. They are high-performers (due to being highly ambitious and motivated). They bring diverse experiences and skills. They tend to have great people skills and emotional intelligence. They continually hone their skills and learn new things. Companies also have the opportunity to change the narrative for these employees by being able to successfully retain them. Talent retention is tricky in this market and being aware that the best and brightest can be recruited away at any moment is the perfect reason to improve upon employee satisfaction. Understanding a candidate’s motivation for leaving previous jobs is important and can be uncovered during the job interview. It is clear that good people have options. Employees are more willing to consider making a change than ever before. Four in 10 employees in the US say they are always looking for a better job opportunity. The pay premium for switching jobs is near an eight year high so companies have to work hard to keep good people. Being able to provide new hires with what they were missing at their previous job, shows that a company is invested in them. Although it may sound like the responsibility lies fully on companies to keep employees satisfied, the resulting positive outcome (retention) far outweighs the alternative (turnover). Frequent voluntary turnover has a negative impact on employee morale and productivity, not to mention company revenue. Recruiting, hiring and training new employees requires staff time and resources. If companies are willing and able to tweak certain benefits, improve management or culture problems and/ or offer more employee support, then they will save big in the long run. Investing in employee satisfaction is the first step in eventually eliminating or at least decreasing the occurrence of job hopping. In the meantime, remain open-minded to potentially great candidates who appear to change jobs frequently. By proceeding with an interview, the circumstances surrounding the job hopper’s history can be explored and at that time an educated decision can be based on if the benefits exceed the disadvantages of hiring.